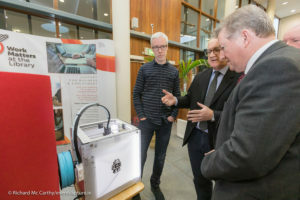 Minister of State at the Department of Rural and Community Development & Department of Communications, Climate Action and Environment Seán Canney TD on Friday 18 January 2019 launched the Smart Community Initiative in Tubbercurry, Co. Sligo. Speaking today, Minister Canney stated: “I am delighted to be here today in Tubbercurry to launch the Smart Community initiative which will enable communities all over Ireland to discover and experience what is possible with digital technology and content. Smart Communities is a new approach that will bring exposure to digital content and technology out into the community and support people to discover the value of using digital in their daily lives. By working together and combining existing assets and resources under a shared vision the community will maximise reach, impact and engagement of current schemes and programmes. 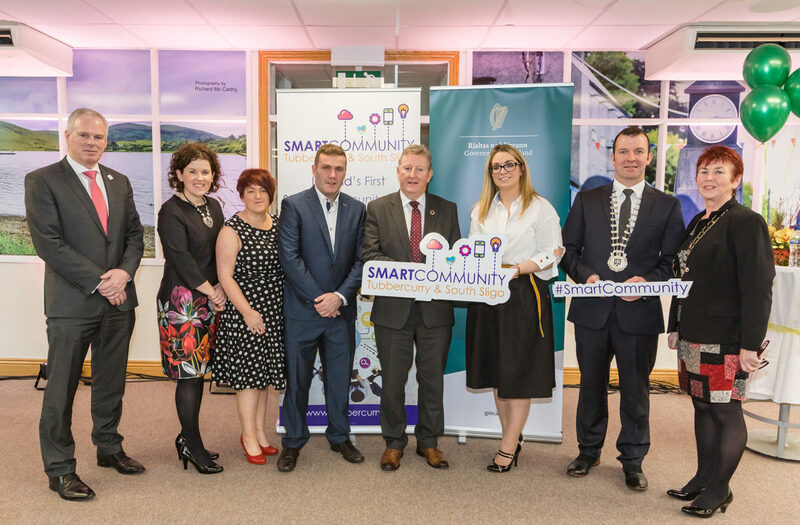 The Smart Community initiative has the potential, in combination with local authority Digital Strategies, to deliver enhanced demand stimulation for uptake of High Speed Broadband services in urban and rural communities. Further rollout of this initiative to other communities throughout the State will commence shortly. The visit saw the Minister visit the Holy Family N.S. Library in Tubbercurry, An Post, Business Expo, An Chroi South Sligo Enterprise Centre and Tool and Guage. 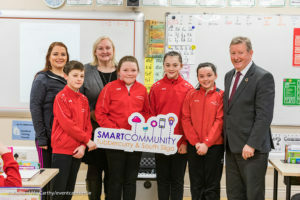 Brouder Marketing is delighted to sponsor the Smart Community Tubbercurry programme for 2019. The organising committee of Smart Community Tubbercurry is Joann Hosey, Louise Kilbane, Geraldine Brennan, Marie Brouder and Sean McDonagh. One of the initiative in 2019 is the Grow Remote is a volunteer driven group who believe that remote work is key to rural areas. The next conference will take place in Tubbercurry Sligo on Tuesday April 16th.